Kids' Party Entertainments > Jamie WilliamS. 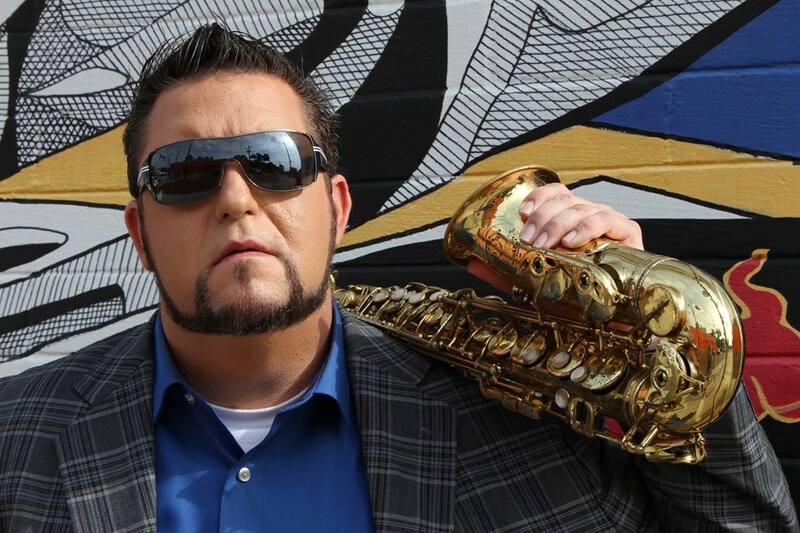 by being named the #1 jazz saxophonist in Texas. and has opened up for Justin Beiber. 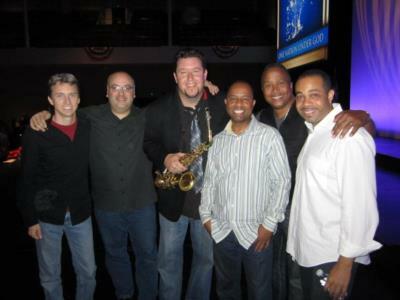 horn section and sax man Charlie DeChant. beside true musical talent like that!" of that history of great instrumentalists." Jamie WilliamS. 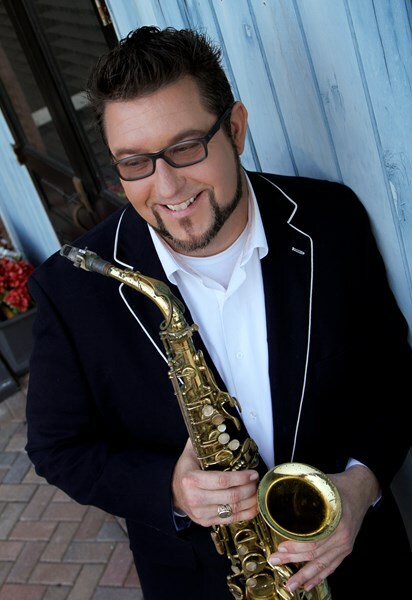 continues to play his smooth jazz in a wide variety of clubs, special events, golf outings, charities, parties, weddings and more, in and around Central Florida as well as nationally. Jamie WilliamS. specializes in wedding sax music for your ceremony music, cocktail hour, dinner hour and/or reception. Orlando weddings are a specialty for Jamie WilliamS. Jamie is a world class musician. We saw him at a local jazz club and I knew immediately that I wanted him for our engagement surprise. He responded immediately to my inquiry and we met in person. The songs we chose changed a couple of times but he could play anything. My fiancée recognized him as soon as she saw him. He was playing three songs and the plan was that I would propose on the second song. He was great. Her friends and family loved him. He even posed for a few pictures. It was amazing. He even worked great with the photography and video team. He helped us create eternal memories. I am forever grateful. Jamie was in touch with us all along. All the songs were planned out with my daughter. He was professional, came on time, played the entire time and we were very pleased. He is extremely talented. Jaime rocked our wedding!!!! All our guests have complimented since on how amazing his Sax talent added to the fun! Thank you Jaime!!!!! Jamie is a true professional and a wonderful musician. I received great comments from guest regarding the music. He knows how to play the saxophone well! I definitely will use him for future events. Thank you Jamie WilliamS! You were awesome! Jaime is an outstanding talent. He was professional and on time. My clients were amazed with his excellence as a Saxophonists. He was the perfect addition to our successful event. Thank you Jamie for your hard work. I will definitely use You again in the future. Jamie was fantastic! I hired him for a Graduation dinner party and he did a wonderful job. His music was so good and he sounded GREAT.I love the sound of a good saxophone and Jamie was on point! He brought all of his own equipment, speakers and everything and he played the night away. There was a time period where I felt bad because I had to ask him to stop playing because we were giving out awards, but he was always very accommodating. Our dinner party was already good but having Jamie there just stepped it up a notch and made the night even better. I highly recommend you hire Jamie for your next gathering whether big or small, you won't be disappointed. Jamie made my Christmas Party Perfect!!!!! Thanks Jamie! Definitely your a great sax player! You made our 60's Show a huge success! Very talented! Performed for our office holiday party and everyone loved it. Please note Jamie WilliamS. will also travel to Winter Park, Lake Jem, Maitland, Goldenrod, Altamonte Springs, Clarcona, Fern Park, Gotha, Casselberry, Ocoee, Windermere, Apopka, Longwood, Winter Springs, Winter Garden, Kissimmee, Oviedo, Oakland, Lake Mary, Plymouth, Chuluota, Killarney, Sanford, Zellwood, Montverde, Lake Monroe, Saint Cloud, Ferndale, Intercession City, Sorrento.